The past few weeks have been a critical time for CPChain. After announcing the postponement of the mainnet, we received mixed feedback, expressing support, opposition, understanding, but also doubt. None of this feedback has fallen on deaf ears. On the contrary, CPChain would like to express our sincere gratitude for the goodwill that the community has generally revealed, but also a genuine appreciation for the honest feedback that has not shared the positive sentiment. We have already open sourced part of the PDASH and Chain in the past few days. In addition, there will be a detailed technical Medium post plus video showing the functional modules of PDASH tomorrow. 1. Prepare a Myetherwallet address holding at least 20,000 CPC for the lock-up session. For instructions on how to sign your wallet address, please refer here. 1. A wallet address can take part in the event once. Only MEW address will be considered legitimate. 2. During the 45-day Lock-up period, the amount in the Lock-up wallet MUST ALWAYS be equal to or above the amount that the applicant claims in the online application form. There will be an administrative review session after the Lock-up period. Those who fail to keep the claimed amount of CPC during the Lock-up period WILL NOT be able to share the reward. For both seasons, the reward will be fixed. As is known to all, the yearly pool of Economy Node Reward is in total 5,000,000 CPC. Thus, the daily pool of Economy Node Reward is 5,000,000 CPC/365 days = 13,699 CPC. For the entire 45-day Lock-up period, the total amount of reward will be 616,438 CPC. The amount of reward each individual participant can get will be determined by the proportion of his locked amount in the total pool amount. For example, if a participant locks up 100,000 CPC and the total locked-up amount is 20,000,000 CPC, then he will get 3,082 CPC in the end. 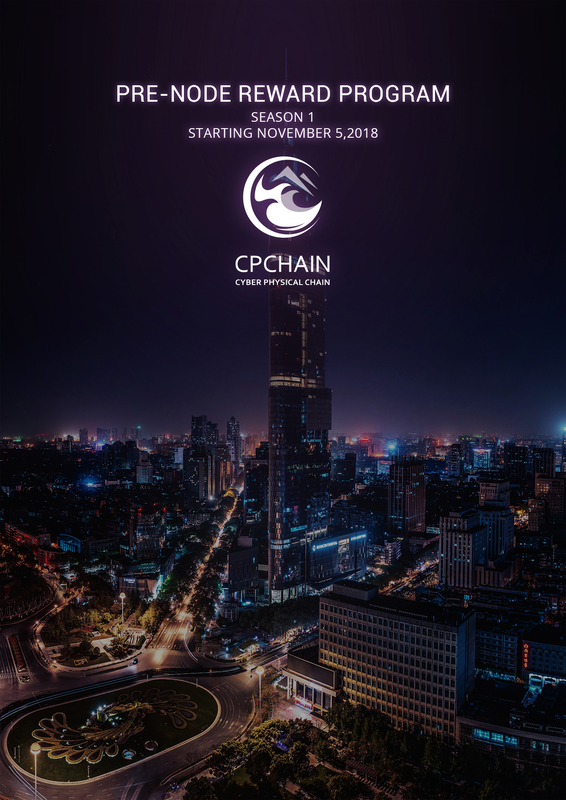 CPChain will update the community with total locked-up CPC daily during the application session.